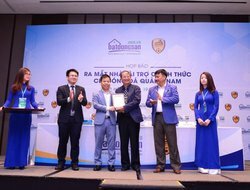 On March 19, Quang Nam Football Club (FC) and Batdongsan.com.vn hold a press conference at the Sheraton Hotel, Ho Chi Minh City to announce that the club has received funding from the Southeast Asia’s leading real estate portal. 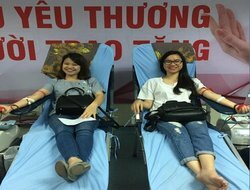 In response to the national Red Journey Campaign, the management board of Dai Viet Foundation launched a blood donation movement titled “Connecting hearts” among its personnel. The initiative was well received by staff members nationwide. In furtherance to the success of the Workshop “Thorough preparation – Ready to breakthrough” at University of Commerce, Dai Viet Group, in collaboration with Academy of Finance, hosted the Workshop “How to land your dream job” for students of business major in particular and of Academy of Finance in general. The student-centred workshop themed “Thorough preparation – Ready to breakthrough”, hosted by Dai Viet Group and the Faculty of Economic information system and E-commerce, Vietnam University of Commerce on May 25th 2017, attracted more than 200 participants. 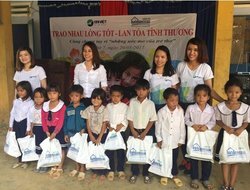 The charity campaign “The journey of Dai Viet's Heart to Children 2017” was launched nationwide by Dai Viet Group in May 2017. In the past month, Dai Viet Foundation has organized consecutive visits to underprivileged children across Vietnam and handed them various gifts, so that they can enjoy the heart-warming and fun Children’s Day. 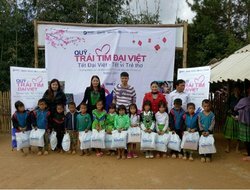 On January 17 and 18, 2017, representatives from Dai Viet Group visited and gave presents to teachers and students at Na Ot Primary and Nursery school, Mai Son district, Son La province. This trip was included in the program “ “Tet Dai Viet, Tet for children” organized by Dai Viet’s Heart Fund. 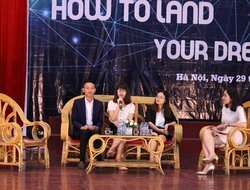 On February 25, 2017 at Trong Dong Palace, Dai Viet Group hosted a talk show: “Choose your career path - Direct your future”. 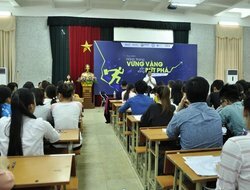 The event was well received and attended by students from many universities in Hanoi. 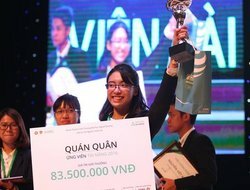 On the night of December 17, the final round of “Talented Candidate 2016” took place in Vietnam National Academy of Music (Hanoi). The contest is annually hosted by Human Resource Club (HRC) of Foreign Trade University. Dai Viet Group was proud to be a diamond sponsor of this amazing contest. 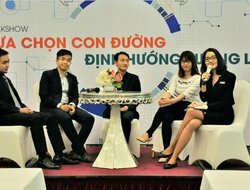 On December 3, 2016, Dai Viet Group held a talk show with over 300 students of Economics of Information Systems and E-commerce Faculty with the aim of bringing job opportunities to them and enhancing the relationship among the company and Vietnam University of Commerce (VUC). 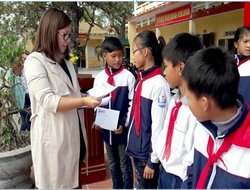 In this November, Bookcases all over Vietnam” continued the journey “Donating bookcases – Nurturing children’ souls” for students in 2 regions: Nha Trang and Thai Binh. 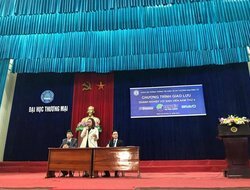 8 bookcases and 52 scholarships were donated in DuyNhat Secondary School and Viet Thuan Secondary School in Thai Binh Province; Bach Dang Secondary School and Vinh Nguyen Primary School on islands of Nha Trang (VungNgan, Dam Bay, Vinh Nguyen, and Bich Dam). 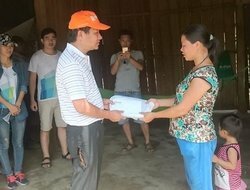 On October 22, in the furtherance of its charitable activities nationwide, Dai Viet Foundation’s trip named “Spreading love to the Central” reached Quang Binh Province, which suffered the most casualties and property losses in the recent storm. The charity group visited and handed out presents to 12 households in Ngu Hoa, Duc Hoa, and Phong Hoa Communes, Tuyen Hoa District, Quang Binh Province. 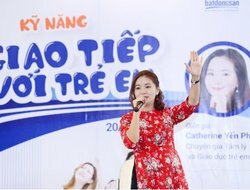 “Peace of mind and well-behaved children” is the powerful message that Psychologist and Child education expert Catherine Yen Pham conveyed to Dai Viet Group staffs at the talkshow “Communicate with your children” held by Dai Viet Group on September 20th.